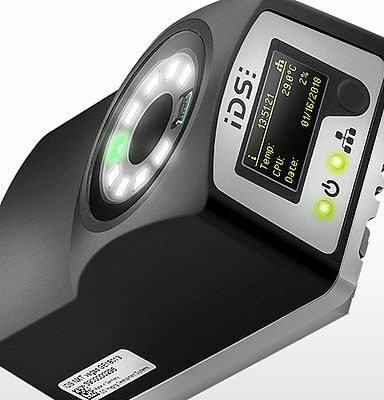 IDS adds a new model to its family of vision app-based industrial cameras. IDS NXT vegas with 1.3 MP CMOS colour sensor, liquid lens with autofocus, ToF sensor for distance measurement and integrated lighting will be available from the end of April. Plus: updates for firmware and cockpit. What makes IDS NXT so special? 1. The freely programmable platform is not restricted to specific tasks. Users can change and set up their preferred vision tasks in a very short time. This eliminates the need to switch devices. 2. The image processing engine of devices like IDS NXT vegas delivers either pre-processed data to a PC or even final results for independently made process decisions – thanks to integrated CPU and low power consumption. 3. Users can develop individual vision apps with the IDS Software Development Kit and install them on their IDS NXT device just like on a smartphone. The possibility to install any vision apps offers universal possibilities in numerous fields of application. Is HOT MWIR a better fit? Achieving superior image quality requires real and full color depth for every channel, improved color contrast and color differentiation, low inter-channel crosstalk and noise levels. Introducing the FLIR X6900sc high speed MWIR camera. Full resolution 640 x 512 thermal recording at an astounding 1000fps so you can freeze motion and measure temperatures on high speed targets - even a speeding bullet. TRC-group provides a complete range of vision and measuring machines in different sizes and executions to comply with the increasing demand for quality and data collection in production and quality assurance. For profile and gap measurement. Compact design with integral controller for high speed, high precision measurement. Comprehensive software included, easy set up with predefined measurement programs. Choice of interfaces for direct connection to PLC. Blue laser for red-hot glowing and organic objects. Mitsubishi Electric has responded to the needs of the surface inspection market, with the launch of a highspeed version of its Contact Image Sensor (CIS). Offering high quality, distortion-free image acquisition right up to the edges of the material, the new CIS scans surfaces at speeds up to 1000m per minute and above, in a compact, easy to install format. DC motors made by maxon drive the Mars rover and have been running on the Red Planet for more than ten years. Down here on Earth, the unique quality of their reliable, efficiient and powerful drive systems ensures customer satisfaction.